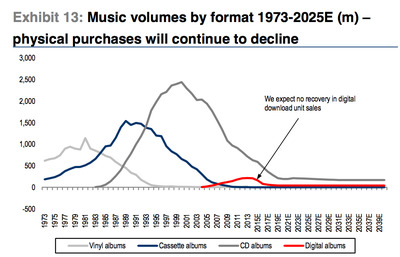 Things might finally be looking up for the music industry. 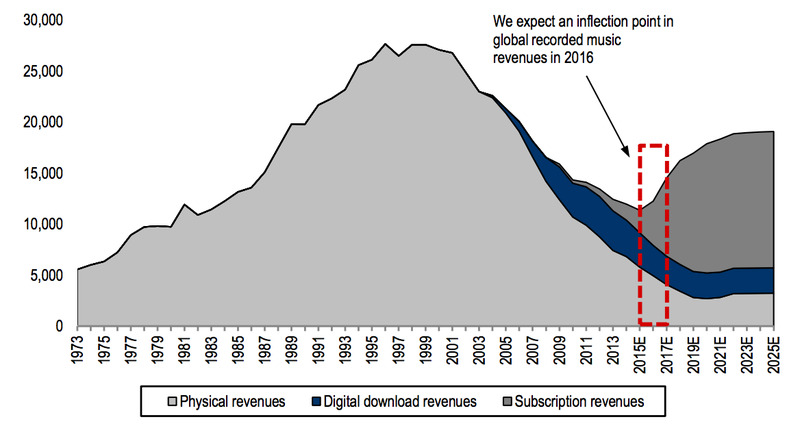 Credit Suisse published an analyst note on April 4 which predicts that 2016 will be the year that the music industry finally recovers from the dip in revenue it’s been in since 1998. The note says that Credit Suisse expects revenue from paid streaming services to grow nearly six times from 2015 to 2020. 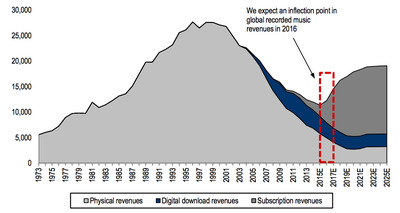 The financial services company is also bullish on Apple’s longterm prospects: It expects the Cupertino company will ultimately control around 45% of the distribution in paid music streaming. Many musicians have been reluctant to embrace streaming services, but it sounds like they’re going to have to get used to them. 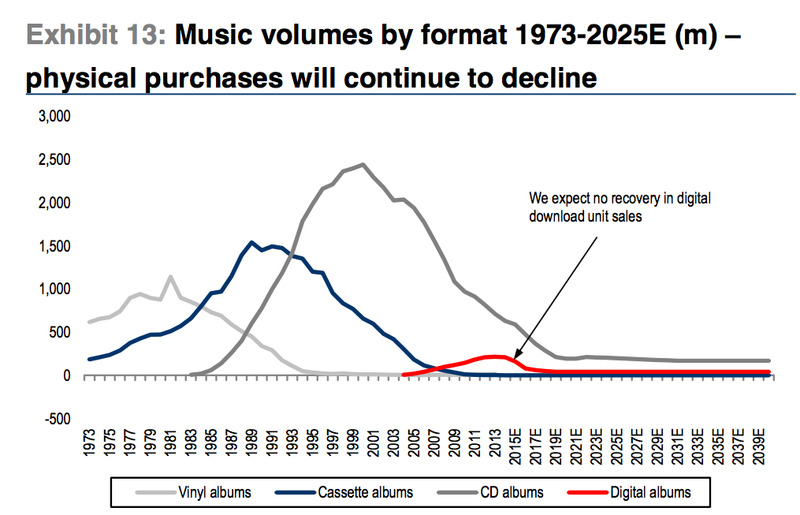 Elsewhere in the note, Credit Suisse says that it doesn’t expect to see a resurgence in the sales of digital downloads — that’s services like buying albums on iTunes — at any point in the next few decades.